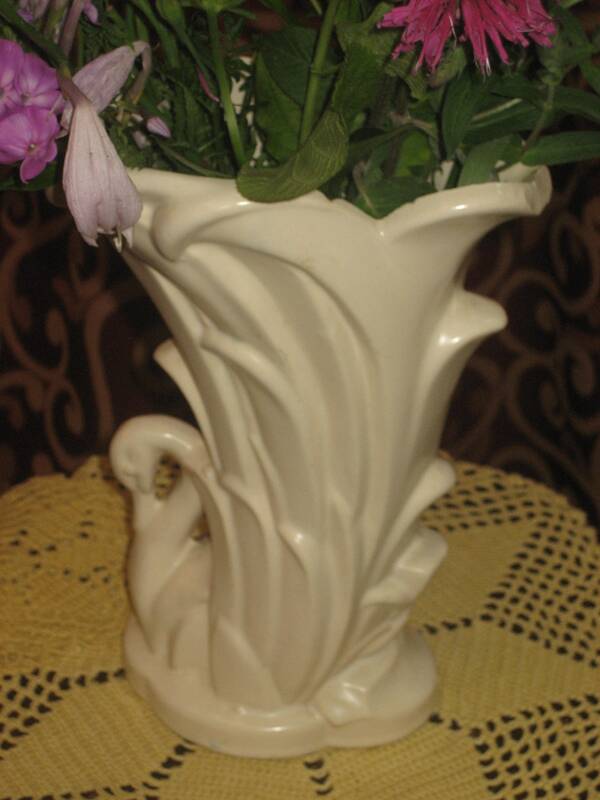 1940's, 10" tall white ceramic McCoy vase. 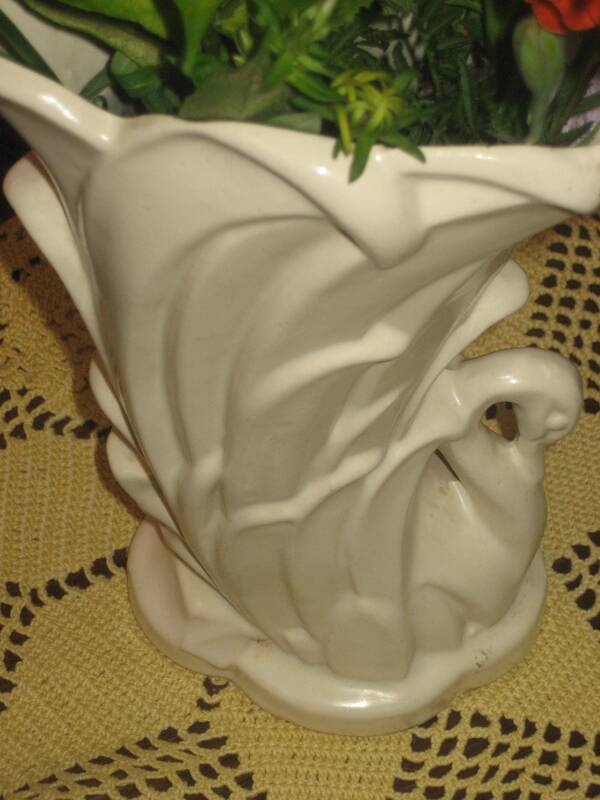 Vase has tilted opening, with white wave like swirls as overall design, with a profile of swans on one side of vase serving as a handle. 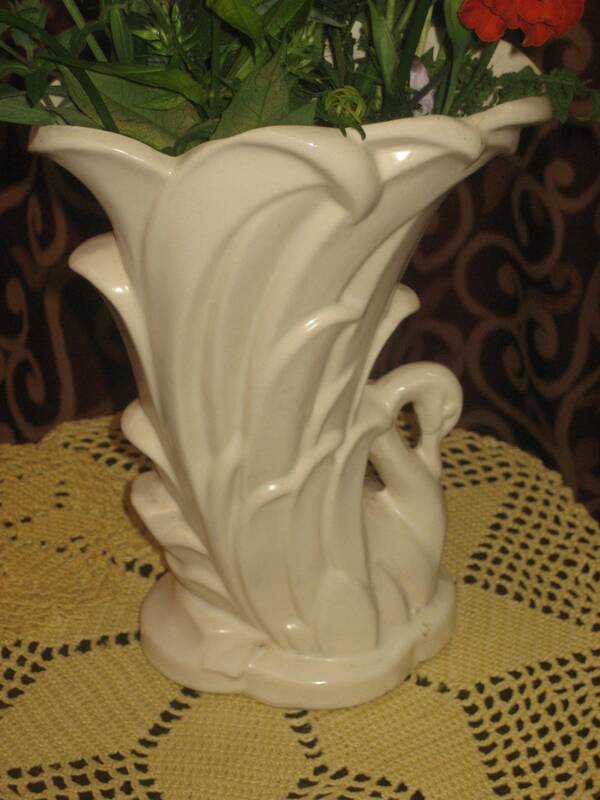 Base is a narrow oval.